Quad bike fun for everyone. Manoeuvre these unconventional bikes around a course with various obstacles. It is a real test of speed and skill to see who can gain the fastest time without penalties. 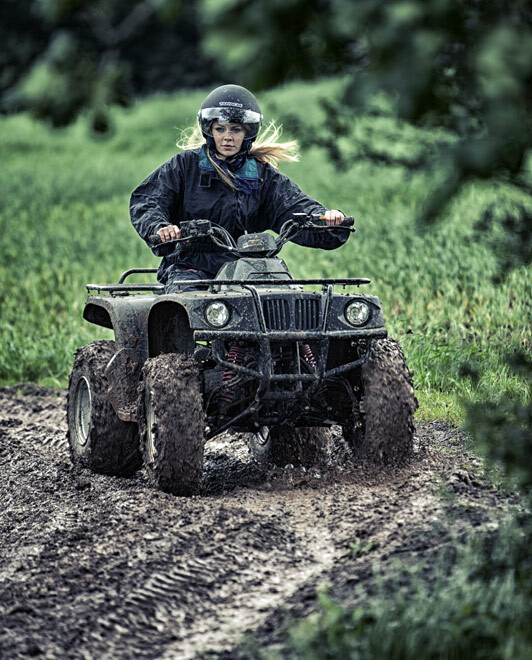 Our quad bike course experience will be led by an experienced instructor, and beginners will be getting the knack of these all-terrain vehicles in no time.